The easy to use solution for horticultural iron deficiency. Iron deficiency results in pale yellow leaves, poor growth and flowering and is the main reason why rhododendrons, heathers and other 'lime haters' cannot be grown well on chalky or alkaline soils. 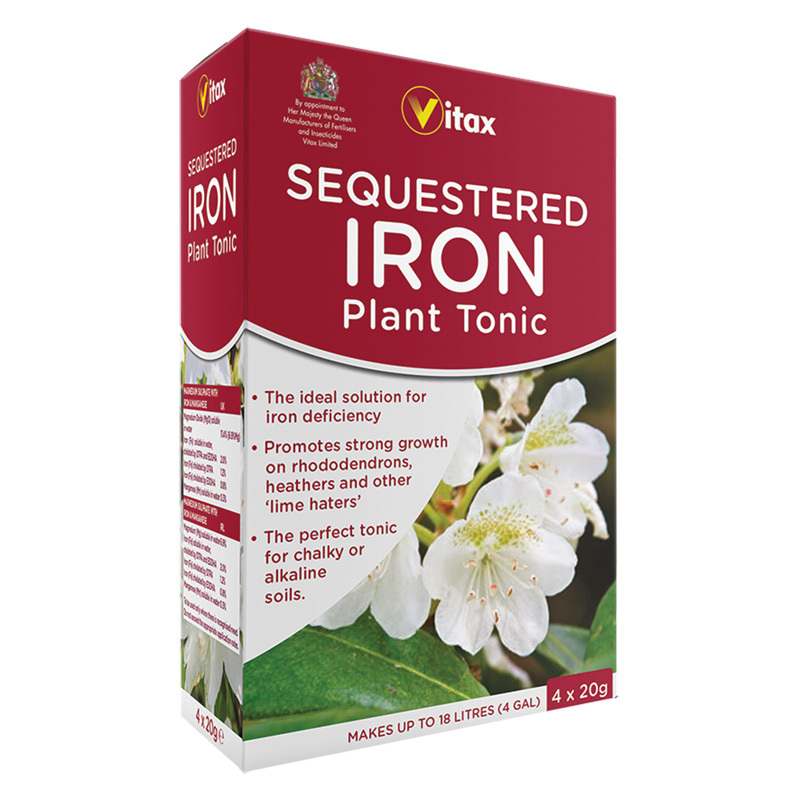 Vitax Sequestered Iron Plant Tonic supplies the necessary iron together with magnesium and manganese in a form plants can use to correct the deficiency. Magnesium Sulphate with Iron & Manganese. Apply in early Spring evenly to the soil surface using a watering can. Mix the Plant Tonic with a little water, stir well, add water to make up to the volume required and mix again. One application lasts all season. If you would like further information about Vitax Sequestered Iron Plant Tonic, please contact our garden centre at Shawbury just outside Shrewsbury in Shropshire, by calling 01939 251315 or emailing.